Congratulations to… Rick Dawson from Waterlooville. 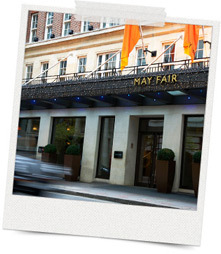 Rick has chosen the 1 Night Break for 2 at the 5* May Fair Hotel in London. Well done Rick! We hope you enjoy your break. Don’t delay! Click Here and start referring your friends and colleagues today. Each time you refer someone you will be entered into the draw, so the more friends you refer, the better your chance of winning!